Debayan Sen looks at Chennaiyin FC's line-up, their key performers, and how they may fare in the upcoming ISL season. Chennaiyin FC go into the third season of the ISL as defending champions. Last year, they conceded the least number of goals (19), kept the most number of clean sheets (6), won the most number of matches, ended with the best goal difference, and with 32 goals, they outscored all but one of their rivals. The details tell a more compelling story. Chennaiyin began their season poorly, losing six of their first 10 matches, including three on the bounce. A 2-1 reversal at the hands of Atletico de Kolkata on November 18 meant Chennaiyin were rooted at the bottom of the league, with qualification to the playoffs appearing a lost cause. However, the team stuck together and went on a four-game winning run, scoring 12 goals in the process. With their defence shored up and top-scorer John Stiven Mendoza in sublime form, Chennaiyin finished third in the league stage and entered the playoffs as the team to beat. They brushed aside 2014 champions Atletico de Kolkata 4-2 on aggregate in the semifinal, setting up a title bout with FC Goa in Margao. In what would be one of the most memorable matches in ISL history, Chennaiyin took the lead through Brazillian midfielder Bruno Pelissari, but Goa hit back with two goals late in the second half to turn the final on its head. 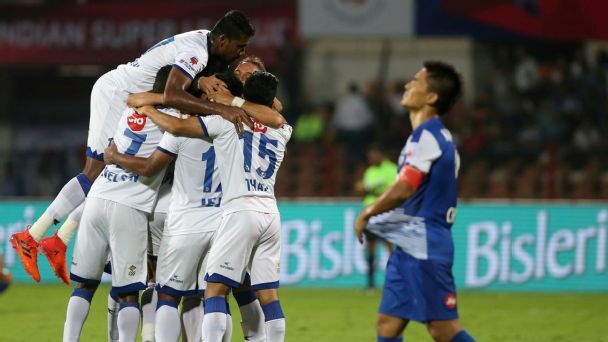 However, with 90 minutes up on the clock and the title heading towards Goa, Chennaiyin snatched two goals in the dying minutes, inspired by Mendoza, sparking scenes of both delirium and despair. In the aftermath of Chennaiyin's celebrations, their marquee signing Elano Blumer was arrested on charges of allegedly assaulting an FC Goa owner. Though he was granted bail later, Elano has since not signed up for a third ISL season. Former Italian World Cup winning defender Marco Materazzi is one of only two coaches -- the other being Goa's Zico -- to return to the ISL for the third year running. Materazzi served as a player-coach in the first season, before returning as a full-time manager last year. His tactics played a vital part in Chennaiyin's resurgence and push to the title, as Materazzi fixed their leaky defence and built the entire team around Mendoza. With several changes in the Chennaiyin squad for the upcoming season, the presence of Materazzi down in the sidelines will be crucial for team stability. John Arne Riise has a mean left foot in him, but he also comes with plenty of experience under his belt, having played for the likes of Liverpool, Fulham, AS Roma and Monaco. A Champions League winner, Riise makes the switch to Chennai from Delhi Dynamos, and is a potent weapon at both left-back and left-wing. Should he be utilised at the back, it will be down to him and crowd-favourite Bernard Mendy to marshal the revamped Chennaiyin defence. With Mendoza and Elano both not returning for the upcoming season, Chennaiyin will be missing out on their leading goal scorers from the last two years. They will be hoping that Nigerian striker Dudu Omagbemi - who has scored 73 goals in 89 appearances for I-League side Sporting Clube de Goa - can make up for the pair's absence. Dudu will likely be playing up front alongside Jeje Lalpekhlua - the leading Indian goalscorer in the ISL - and if the two can form a lethal strike force, the team has every reason to be optimistic. 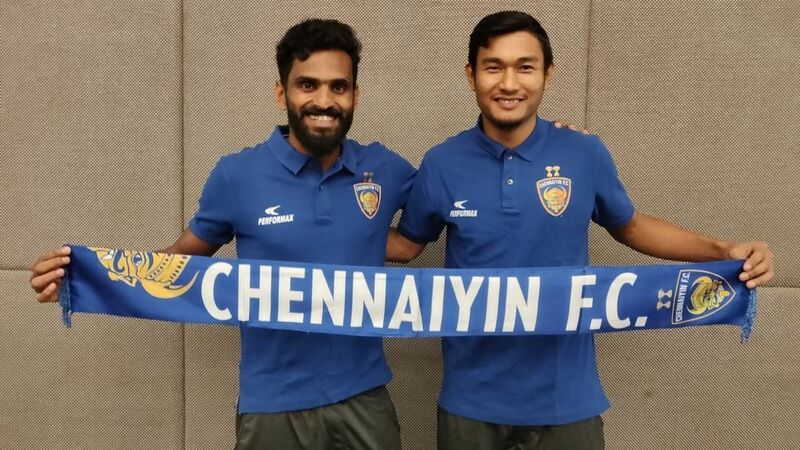 Besides Mendy, Chennaiyin have also retained Raphael Augusto and Manuele Blasi, who will be tasked with giving thrust and bite to their midfield.